Huckleberry Games is an innovative MMORPG games company. 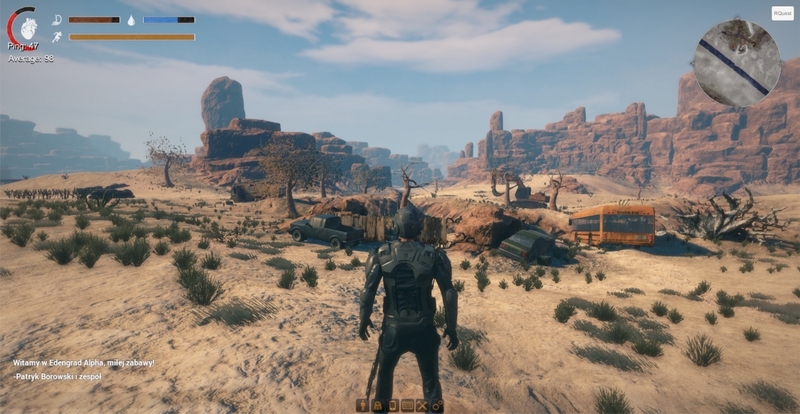 Currently our team works on the production and solutions for the multiplayer RPG game titled Edengrad.This is a simulator of a post-apocalyptic world. Players can fight, acquire raw materials, build houses and towns and affect the whole world of the game. Edengrad contains a full realistic economic system known from the real world. Many Polish as well as foreign media have taken in interest in Edengrad. There are companies such as: Polsat, Gazeta Wyborcza, interia.pl, dobreprogramy.pl, mmorpg.org.pl, IGN.com or mmoattack.com. Edengrad has been also presented at the Poznan Game Arena fair, where received a lot of positive feedback from the visitors as well as press.One of the company’s biggest achievement is scoring the second place – among few thousand games – on the Steam Greenlight in just a few days’ time. Edengrad gained support from from many players all over the world.